GoodReads Summary: Two-time Newbery Honor Book author has written an amazing account of one of America's most famous hoaxes! What I Think: I'm so fascinated with how people act and what causes people to act in certain ways. The story of the Cardiff Giant certainly makes me think about the extent to which people will go when they are desperate. It also makes me wonder what puts someone in such a position to believe that pulling such a hoax makes sense and is worth it despite the utter trickery and that people will be taken advantage of. While I don't believe it was right, people definitely got creative and took matters into their own hands to make things happen despite many times it being at the expense of others. 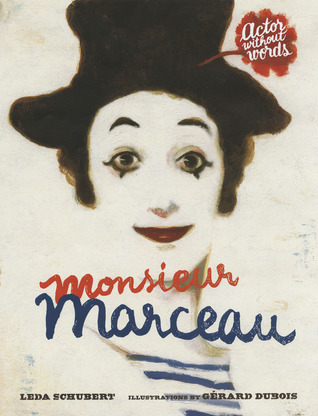 As I read this book, I couldn't stop thinking about The Great and Only Barnum by Candace Fleming. I was amazed and appalled and fascinated by P.T. 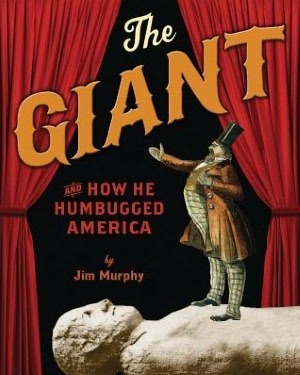 Barnum and his life and career. He truly was larger than life and earned his monicker of being the great and only. But his work was based on manipulating and tricking the public. I also was reminded of The Devil in the White City by Erik Larson, Loving Frank by Nancy Horan and even Madame Tussaud by Michelle Moran. While these are considered to be more adult books, they still share how people respond and react in order to do what they need to do to survive and look out for themselves. I think this book has great potential for connecting text with other texts and gaining insight into how the world was different 150 years ago. It's interesting to think how vastly society has changed and to recognize how so much of what is in this book wouldn't be possible today for many reasons and also the implications of that. Writing Prompts: Choose a position in regards to whether you believe it was acceptable for Hull and others to pull of the Cardiff Giant hoax. Were they justified in some way or do you believe it was uncalled for? What do you recognize about our current society as you compare it to life in the late 1800's?